Car accidents happen. Whether you were the person at fault or the “victim” of the accident, certain rules exist for how drivers can act. However, many drivers become scared, concerned or flustered by the incident and fail to follow the required steps of remaining on the scene until police arrive. Regardless of your reasons, Leaving the Scene of an Accident can result in serious traffic or even criminal charges. 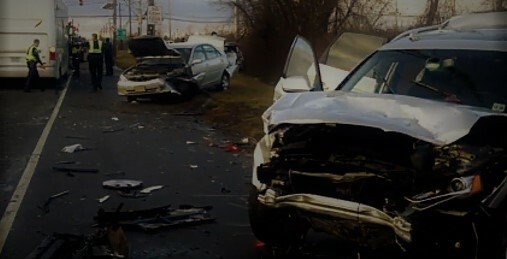 If you or a loved one have been charged with Leaving the Scene of an Accident in Burlington County, you should contact an experienced attorney. Having the knowledge and expertise of a traffic attorney by your side can mean the difference between a license suspension and a dismissal of your charges. Here at Proetta & Oliver, our Mount Laurel NJ Law Firm specializes in traffic and criminal defense law. For an immediate consultation with an attorney, please contact our office at (609) 850-8284. The initial consultation is provided free of charge. What are New Jersey’s Laws for Leaving the Scene of an Accident? Pursuant to N.J.S.A. 39:4-129, a person who is involved in an accident must stop their vehicle and return to, or remain at, the accident scene. This is particularly important when the accident results in vehicle damage or injury to any person. Additionally, any one involved in an accident resulting in injury or property damage must also provide their (1) name, (2) address, (3) license and (4) proof of registration. This information must be provided to both the other driver and any responding police officer. What Happens if I Hit a Parked Car? Generally, if you are involved in an accident with a parked car and you cannot reasonably locate the owner, then you must leave a note on the unattended vehicle with the your contact information. As a matter of course, it is also recommended that you contact the local police department to report the accident. What are the Penalties for Leaving the Scene of an Accident Burlington Township NJ? For those unfortunate situations where the accident causes serious bodily injury or even death, the demand that you remain at the scene is even greater. Failure to do so will result in third degree felony charges. If convicted of a third degree offense, you will be facing up to five (5) years in a New Jersey State Prison. In cases like these, every second counts. Evidence may be lost or destroyed if it is not preserved. Do not wait for the police to come knocking on your door with handcuffs. Call the Criminal Defense Lawyers at Proetta & Oliver today at (609) 850-8284. Our firm can be reached 24/7 and the initial consultation is provided free of charge.